I was more than happy to go back to Geneva again as an IHP Correspondent, this time, to attend the first few days of the 144th WHO Executive Board (EB) Meeting. I went to Geneva, as Lonely Planet would describe it, ‘on a shoestring’. However, the beautiful white landscape due to abundant snowfall made me quickly forget about the budget constraints (and sometimes even food). Experiencing the first snowfall of my life, in Geneva of all places, for a nascent public health researcher like me was no less than the cherry on the cake. Moving on to the EB meeting then, my preparations for it started with the preparatory civil society meeting on the 23rd of January, organized and hosted by the Geneva Global Health Hub (G2H2). Before hopping on the plane, I had already “done my homework”, going through the PHM Commentary on the EB’s agenda items, and WHO background material & reports in the areas of my interest. The preparatory workshop began with the paying of tribute to Dr. Amit Sengupta, one of the founders of the People’s Health Movement, who sadly passed away late last year. The workshop included open discussions on selected items on the EB Agenda [Item 5.5, 5.6 and 5.7, or Universal Health Coverage; Health, Environment and Climate Change; and Access to medicines, vaccines and other health products, respectively] and a closed civil society brainstorming session on changing WHO Governance (although you have to wonder, when is WHO governance actually not changing?). 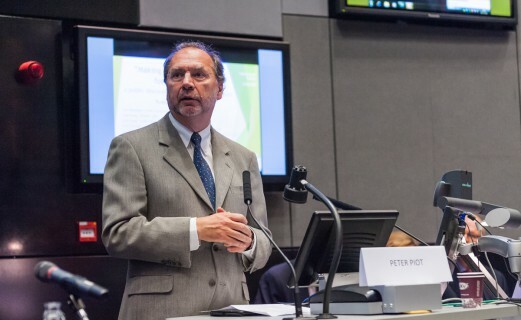 A few days earlier, Dr. Thomas Schwartz (MMI) had explored in a (well-noted) blog post whether the proposed recommendations on civil society engagement with WHO amounted to progress “Towards a new era of partnership” or whether civil society instead needed to “defend a shrinking space”. 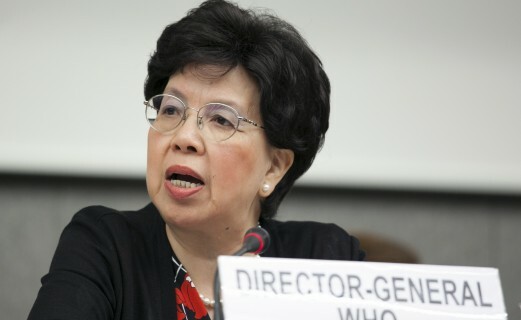 As Jenny Lei Ravelo noted in a Devex analysis before the EB meeting, WHO’s proposals on its engagement with non-state actors was one of the key contentious issues raised ahead of the EB meeting, others being the WHO’s draft roadmap on access to medicines, vaccines and other health products and – mentioned elsewhere – reports of alleged misconduct within the organization. The PHM watchers also participated in the preparatory workshop and prepared their policy briefs and statements for specific agenda items. 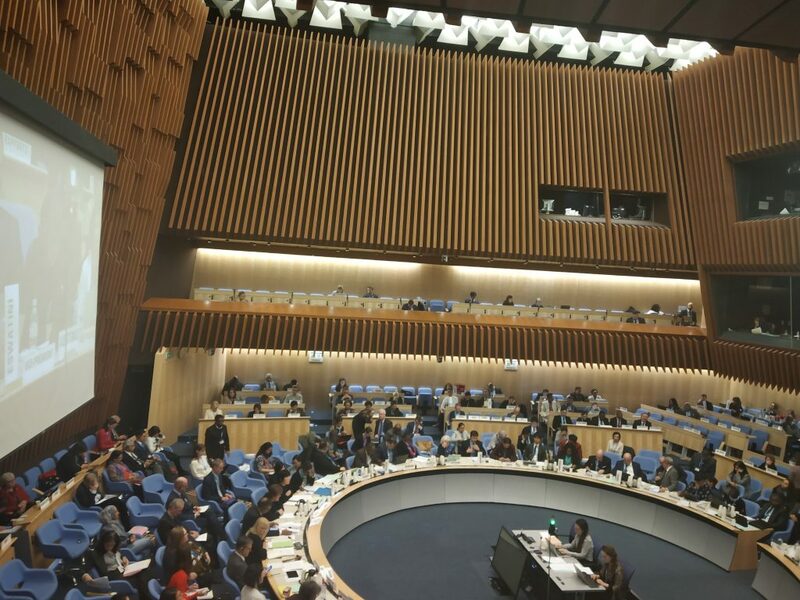 As the 144th EB meeting commenced on the 24th, with an opening speech by WHO DG, Dr. Tedros, I was in the room. He shared experiences and observations from his various country visits ranging from UHC reforms in Kenya and India, to the Ebola outbreak in the DRC and polio eradication in Pakistan, all the time narrating inspiring stories of frontline workers working in the most difficult situations. As has been noted by other observers, Dr. Tedros has a knack for ‘humanizing global health’, and he certainly touched many hearts in the room (including mine), as he applauded the dedication of these frontline workers, who inspire him to work even harder. In his speech, Dr. Tedros also emphasized zero tolerance for any misconduct within the organization (in response to the AP report), and confirmed that thorough investigations would soon be concluded. In order to create an open culture within the organization and prevent such issues from materializing (again? 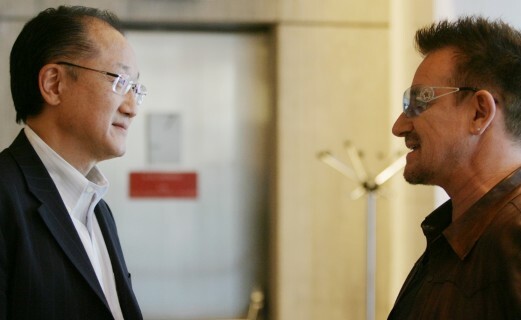 ), he proudly shared his open door policy for the staff, every Thursday for an hour, when he is in Geneva. Given his rather huge carbon footprint (see above), I’m not sure that will happen often, but it is, nonetheless, a nice initiative. Over the next few days, I got a chance to observe some of the interesting (and occasionally, entertaining) discussions and responses of several Board member and non-member states, and civil society organizations on the DG’s report on a few key agenda items including the Proposed Programme Budget 2020-21, the Implementation of the 2030 Agenda for Sustainable Development, and UHC. The states representatives generally welcomed Dr. Tedros’ commitment to transforming (the functioning of) WHO and achieving his – by now well known – “Triple Billion Goal” through WHO’s 13th General Programme of Work. They shared their country experiences on each of the specific items and expressed their support for WHO’s initiative of moving from a disease specific siloed approach to a more health systems-oriented approach, and the strengthening of country offices. 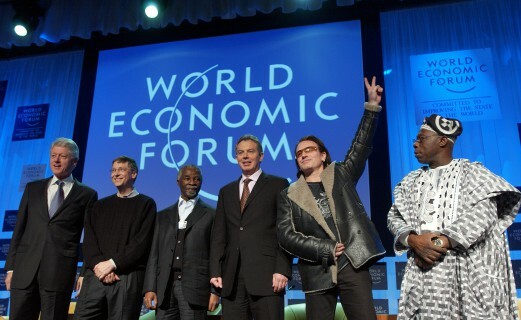 However, many also raised concerns about the relatively slow speed of progress, some great achievements notwithstanding, and emphasized that not only do we need to redouble our efforts towards achieving the SDG agenda, we must also work towards preventing the health gains of the past decade from sliding back (a danger Gates also warned for last week in Davos). 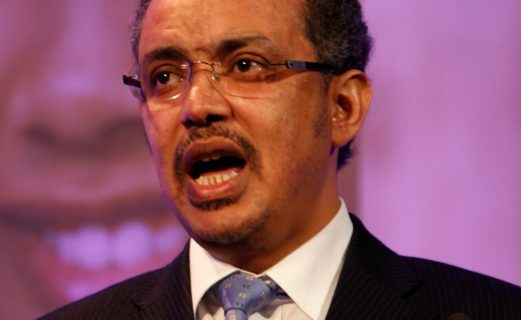 Tedros himself acknowledged this, admitting that “Progress is slow, we’re not on schedule”, but he has good hopes that a WHO-led Global Action Plan for healthy lives and well-being for all can help get things back on track. Participating countries demanded information and clarity on the timelines, the operational framework, equitable allocation of resources, measuring outputs, accountability to the member states etc. before the next World Health Assembly in May, 2019. The WHO secretariat took note of the suggestions and feedback provided by the participating countries and shared a potential way forward on those elements. On a lighter note, the WHO physical exercise breaks were really fun to watch and participate in. They happened almost every other hour, putting into practice what WHO preaches on NCDs (i.e. #WalktheTalk) and led to a wave of physical activity and laughter in EB room. Dr. Tedros – all smiles during these breaks – seems to be quite a fan too. As you can imagine, many informal meetings ran in parallel to these main EB meeting sessions, where resolutions for different agenda items were discussed and negotiated. I managed to sneak into one such informal meeting to discuss the draft resolution under item 5.5 – preparation for the UN High Level Meeting on UHC, and so got the chance to closely observe how each and every word of the resolution was negotiated and (if all goes well) finally agreed by the member states. I could observe first-hand, during these negotiations, how different country contexts can shape the understanding of ostensibly similar concepts so differently (for instance on UHC, see here), thereby making it a challenge to reach a consensus. I was not only inspired by the commitment and patience of the member states delegates in such a time-intensive process but also became more appreciative towards such documents when they are at last released (and look, for outsiders, more often than not, more like “the lowest common denominator”). All in all, my second visit to the “world’s health capital” was yet another milestone on my own “transformative” journey as a public health researcher. Dr. Tedros will no doubt hope for the same, when it comes to the future of the organization he leads. Like in the rest of the world, transformation is certainly in the air of Geneva. But the mission of WHO remains the same: to promote health, keep the world safe, and serve the vulnerable. Acknowledgement: I thank Kristof Decoster for his review comments and feedback.